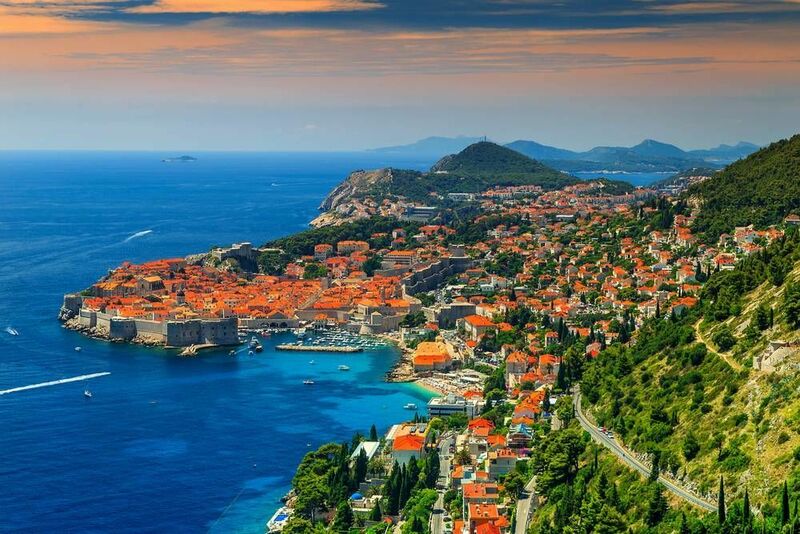 Fans of the popular HBO show, Game of Thrones, will not think twice to visit this gorgeous Croatian city. Many of the city’s sights were used as sets for the Game of Thrones series, including the iconic King’s Landing. If you’re an avid Game of Thrones fan, you will find yourself in paradise and feel like you’ve walked right into the show. The Old City of Dubrovnik is classified as a World Heritage Site thanks to its gorgeous coastal waters, 13th-century architecture, and majestic Renaissance and Baroque churches. Located on the shores of southern Croatia, this distinctive city is a historical masterpiece that will mesmerize and inspire you. Stroll through the iconic Stradun Street, a limestone-paved work of art that stretches for over 300 meters through the historic part of the Old Town. Visit the Walls of Dubrovnik Museum and catch a glimpse of Croatian history and culture. They are a series of medieval defensive stone walls that were built to protect the citizens of Croatia between the 7th and 17th century. Then, don’t miss Dubrovnik’s two major islands, Lokrum and Mljet, which contain magnificent gardens, crystal-clear lakes, gorgeous beaches, and mesmerizing caves. It’s easy to see why so many people flock to Dubrovnik every year. With so many things to see and do, you’ll be wanting to take the streets of Dubrovnik by foot and explore the whole city. Here are some free walking guides that can help you achieve that. Follow this excellent guide to take you around Dubrovnik and show you the main sights of the city. This thorough guides will also provide you with background information on the landmarks and excellent tips for getting around the city. Pass through the Gate of Pila, Dubrovnik’s main street (Placa), The Rector’s Palace, The Cathedral-Treasury, and The City Walls. This day-by-day guided tour has a perfectly designed itinerary for those who are visiting Dubrovnik for the first time. It tells you everything you need to do including where to go, how much walking you will do that day, and how to get around using the city buses. This is a no-brainer for those who don’t have an itinerary for the Dubrovnik visit. Below you can find more popular (but not free) activities and tours in Dubrovnik. Are you from Dubrovnik and want to be a tour guide? Please get in touch by submitting your details on this page!